Hazara car removals provides junk car removals services, giving you the opportunity to get rid of your old, unusable car for cash. We will take your broken, rusting car that is sitting at your home, taking up space, and give you upto $5999 in Cash for it. Most people would not even want to buy vehicles like this, but Hazara Car Removals does. We guarantee top dollars pay instant instant cash. As soon as the money is in your hands and the car is towed away, you will have no more worries and nothing more to do. Our unique service is available to everyone. Getting cash for junk cars its so easy. In fact, you are going to receive your money before the vehicle even leaves. This is a quick process that you know will work. When you see something that says, “Sell junk car for cash!” you do not have to, and should not, over think it. As stated, this is a simple and quick process that works very well. When your vehicle is wrecked, old, or simply unusable, you can reach out to this service to have it removed. Get junk car removal quotes by calling 0409 145 434. Hazara Car Removals will take any car. Even if yours is unusable, you can still depend on us to pull through for you. You can reach out and learn what your options are, as well as how much you will be paid for your vehicle. Whether you can barely drive it or if it looks as if it is falling apart, you can have a price quickly and get it out of your yard. We want the old, unused, beat up, and junk cars, it is what we are after. 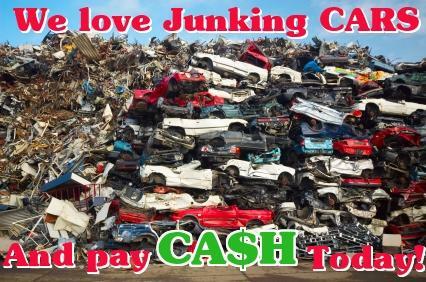 We give cash for junk cars, and you can benefit from that. Hazara Car Removals offer the highest price - cash upto $5999. Our service is not the type of service that gives you nothing for your vehicles. In fact, you may come out of this with a lot more than you might expect. Regardless of the condition of your vehicle, you can be paid well. While not every car will have the same price with it, you can make quite a bit when you choose to look to sell junk car services. You will have more money and you will be free of that annoyance. Every person can take advantage of these services. Hazara car removals Melbourne offers give you the chance to have money for something that you are not using. When your car has become too old to use and is just sitting around wasting space, reach out and sell it. Regardless of its condition, you can get money from this. Remember, they buy junk cars, which is exactly what you have. If you want it gone, sell it today and start making money right away. Are you looking for a perfectly professional and high quality Cash for Car Removal service provider in Melbourne? Hazara Car Removals is the place to be to fulfill all your requirements. We buy any car from any brands and models whichever condition they might be in. You will always get top dollar and a market beating cash quote with our Free Junk Car Removal service that will leave you satisfied in all regards. Our friendly customer support agents and also car removal service providers are all trained professionally and rate your satisfaction to the highest degree at all times. We also provide your doorstep based car removal service in Melbourne where you don’t have to take your cars anywhere at all. Call us now and find out how much your old junk car can still be worth with Hazara Car Removals professional Cash for Cars service in Melbourne.